Strategic PPC Ad Campaigns utilizing experience, current proven methods, and X factors to accelerate ROI. 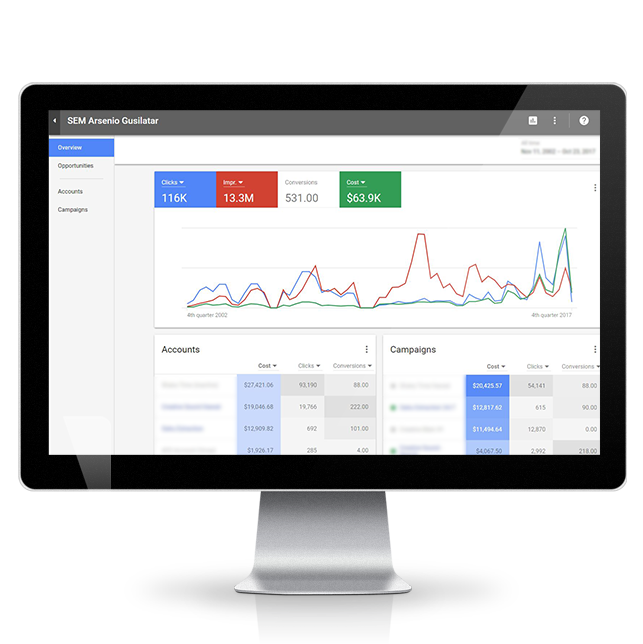 Advanced KPI marketing tags and advanced revenue analytics. Daily keyword research, monitoring, and maintenance. Never set and forget. Google Adwords and Analytics Certified. Analysis of market scope and competition for an articulate setup of enhanced Ad campaigns geared for ROI success. Optimized keyword structure and keyword selection to promote healthy quality leads and eliminate false clicks. Successful PPC campaigns begin with a well thought out and put togther landing page. Goals and conversion setup utilizing Googles advanced Tag Manager to analyse and track important KPI's (key point indicators). Integrated local listings to improve PPC Ad perfomance. High return on investment is the ultimate goal. Return your marketing dollars to profit! 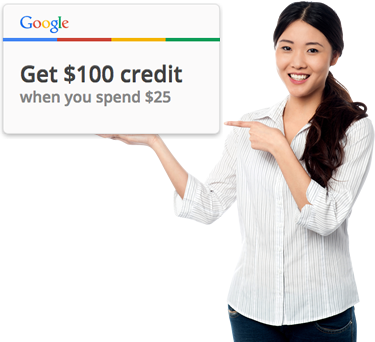 Get started with a $100 boost for your first Adwords Campaign!